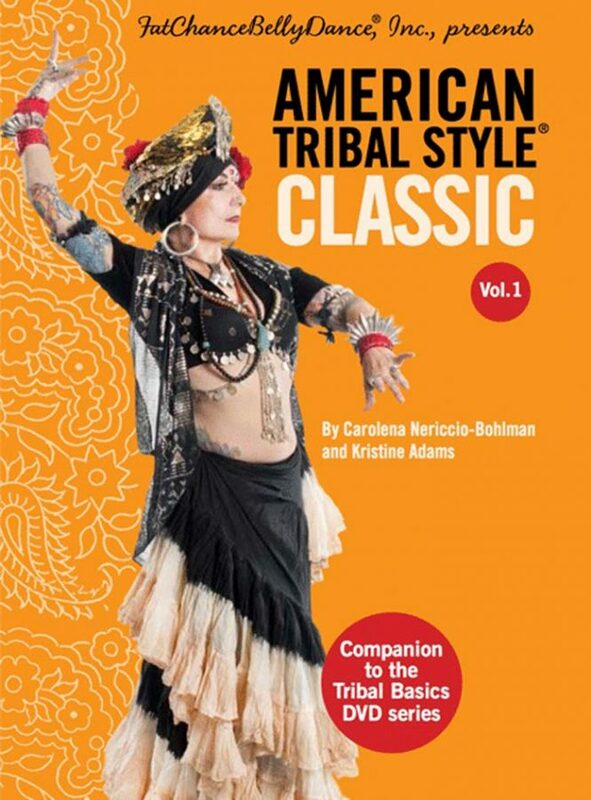 Learn American Tribal Style® with on-site classes, Workshops, DVDs, on-line classes and private lessons, and ATS® Classic Volume 1 Book.M. You will find weekly dance classes, workshops and special events at FatChanceBellyDance®, with instruction tailored to you whether you have danced before or have two left feet. FCBD® owner, and founder of American Tribal Style® dance, Carolena Nericcio, teaches classes herself and also directs a group of advanced instructors specially trained to help you make friends with your inner dancer. If you can’t make it to the San Francisco studio, we can bring classes and workshops to you. 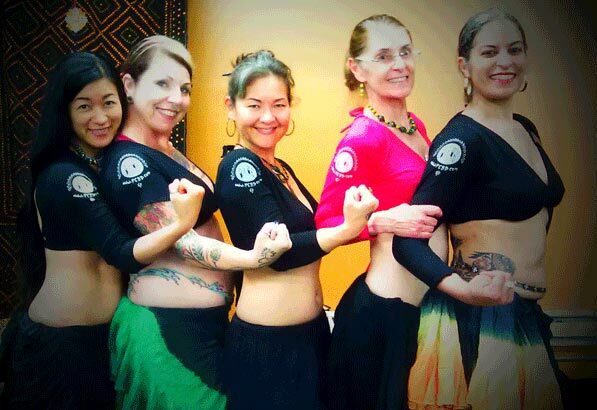 Carolena and the FCBD® instructors travel the world teaching American Tribal Style® belly dance to beginners and advanced dancers. It doesn’t take much to organize a training event in your community and we are here to help. For those who prefer the comfort of their own home, you will find a variety of on-line and DVD learning options. Every step in the American Tribal Style® vocabulary is taught in a series of instructional DVDs that can be purchased in our store. For those dancers new to ATS® or looking to brush up on their skills outside of their regular classes, these DVDs are invaluable. If you are looking for on-line learning, FCBD® provides instruction via our online studio found at PowHow. You can actually take classes taught in the San Francisco studio by Carolena from your home. In addition to on-line classes, you can also schedule a private lesson with Carolena. Once you begin on your American Tribal Style® journey, you can find finger cymbals (zils), music, instructional DVDs, costuming, practice wear and other resources in our on-line store. FatChanceBellyDance® has always offered DVD instruction for you to utilize in addition to your ongoing classroom study. Now you have access to those same foundational DVDs as downloads. Even if you already own the DVD, downloadable versions can travel with you always ready for a quick reference or refresher course. This beautiful, full colored book, provides detailed information on the basic slow and fast movements in the ATS® classic vocabulary. Whether you are a long time dancer, or a student just beginning, this book is perfect for you. 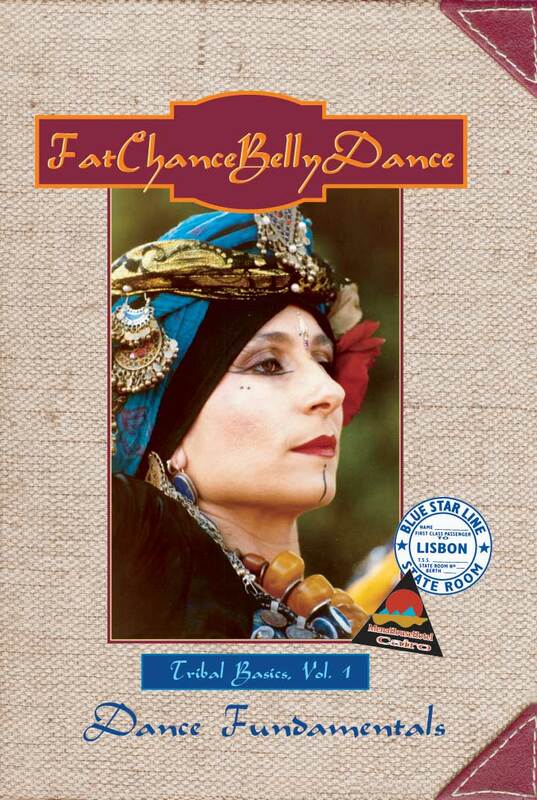 This is a “must have” resource for your FatChanceBellyDance® library.